You probably read that title and thought, "Uhhhh... 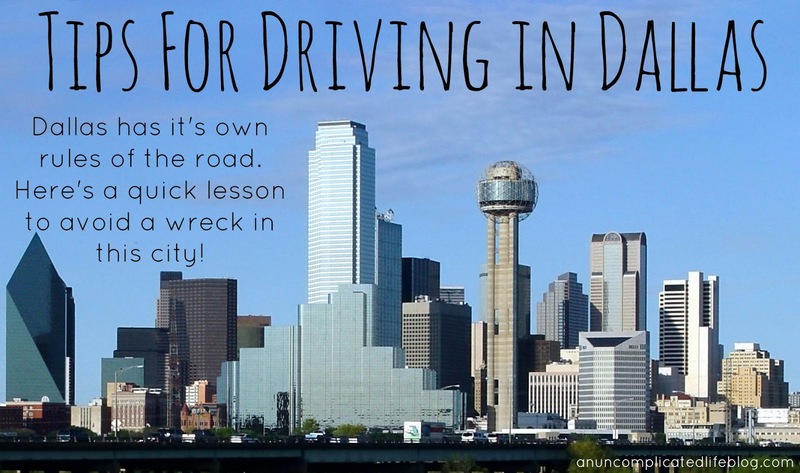 So Dallas is in the U.S. and we all go to driving school... What exactly about that requires further tips?" Oh, my dear friends. You are so very, very wrong. Driving in Dallas is very much like driving in a third world country. We don't follow any typical driving rules. Hell, I've come to learn and accept that nobody in the state of Texas has taken Drivers Ed, nor taken and passed a legitimate driving test to obtain a license. 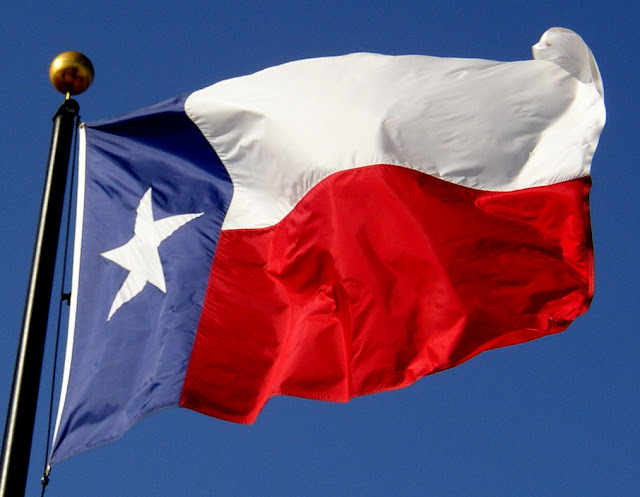 It's (apparently) not the Texas way. Any of the traditional rules of the road that apply in all other 49 states absolutely DO NOT apply in Dallas. Fear not! I've come to decipher the few meager rules that do apply in the Big D (short for Big Douchebag Drivers) and will share them for your amusement or necessity should you be planning a trip here soon. 1) Forget standard "right of way" rules. You yield to the larger vehicle. For example, I drive a mid sized SUV. Therefore, I get the f**k out of any trucks way, and all Toyota Prius' better get the f**k out of my way. Any pickup truck will NOT brake or yield to you. Period. So steer clear. Especially if you're in a Prius. 2) Do not, for any reason, brake for a yellow light. You WILL get rear ended. You punch the gas and go through it! If you're the first one at the red light, count to five after the light changes AND look both ways before going. Odds are 99.9847% no fewer than three cars will run that light, so unless you're looking to get t-boned, proceed after a few seconds of green. 3) MINIMUM acceptable speed on the freeway/interstate is 80mph. DO NOT go slower than this and DO NOT pay attention to posted speeds. They don't matter. Dallas PD is fighting legitimate crime, not posting up speed traps, so it's all good. Use that accelerator and use it liberally. If you want to chug along at 60mph, drive on the frontage road. That's where that speed is acceptable and used. 4) This is NOT a "no fault" state for insurance, so watch out for that hooptie ride. If it's 109 out and it's windows are rolled down (no working AC in the car), it's got four rims and a hubcap, there's a self-applied window tint job and the paint is peeling, odds are 99.984% that THAT person doesn't carry insurance and gives zero s**ts about it. Steer clear of this person, because if they hit you, you're the one who's outta luck, not them. Treat them like a pickup truck and yield, yield, yield! 5) When exiting the freeway, do not brake for cars in other lanes you may need to merge over to in order to exit. Braking causes traffic and really gets people mad here. If there's a tricky traffic situation and your exit is coming up, punch the gas and pass the hell out of people to the left, then cut over the three to six lanes to get to the exit. No need to signal, everyone is on their phone anyway and not watching your crazy lane changing. This keeps traffic flowing freely, at 80mph or above, and everyone stays happy. Remember, this is Texas and people are packing heat. You don't want to upset anyone, especially with your damn brake lights. That's the quick-notes on driving successfully in Dallas! My mom has taken to holding on and covering her eyes when she visits. Most of our other out-of-town guests refuse to drive here. I white-knuckled it for the first six months, but now the daily "Super Mario Bros" driving game is second nature to me. I feel like because I learned how to drive in Massachusetts it really helped prepare me for the idiots down in FL. I mean the major highway I learned on was called Route 2 and there were NO BARRIERS. So imagine going 80 mph on a winding, narrow highway and the only thing that separated you from straight oncoming traffic was a yellow line. Plus, don't even get me started on rotaries that merged from like 4 major highways into a circle with no real rules. I came to FL and was like this is easy, all I have to avoid is the idiots putting on mascara in the fast lane going 20 mph. This post cracked me up. Seriously though, why would anyone drive a Prius in Tx? That just feels un American lol. That POS with no insurance will also try to stop short in front of you at the yellow light and make you rear end them. Hello neck injury. Always have to drive on the defense right? Funny story, when my sisters moved to Dallas in 93, my parents started going more often. Which was great, except, my dad didn't know how to drive in the city. He STOPPED on the ramp trying to get on 75 or something because he didn't think he could get on.... STOPPED ON THE RAMP. I almost cry-laugh when I heard that story. In '93 there were stoplights on all the on-ramps to get on Central Expressway (aka 75) so your dad was actually following the traffic laws. Of course, he was the ONLY one following that stupid law. The cops would write tickets, though, if they caught you getting on 75 without stopping at the on-ramp stoplight. The on-ramps were only about 50' long, too, so you had to accelerate like crazy to get up to speed to get on 75. Those were the days! This cracked me up! Florida definitely isn't like this. Our biggest issue is all the snowbirds! There's a ton of traffic during the winter and it can be super frustrating with all the people who drive slow and don't know where they are going. Hahah this is so funny. Although, personally I think New Jersey has the worse drivers. They are all over the road. I can say I have experienced this first hand. I do like that they drive fast, but the no signaling kills me! Seattle drivers go under the speed limit. I want to pull my hair out. And there is always traffic, 24 hours a day. It's insane! hahaha this is hilarious! i have never been to driving school in the US, but when I moved here, I didn't know about the yellow light thing - I'm sure it's not as bad as Dallas but even here people go through the yellow and run the red. that simply doesn't happen at home so I almost got in an accident several times, from someone behind me not expecting me to stop, or from someone running a red light and almost t-boning me. Driving downtown Toronto is pretty fkn crazy; a whole different ball game. I tell people this in Qatar all the time and they don't believe me as they think the driving here is the worst. Learning to drive in Dallas prepared me for anything! So I just got back from Austin TX. My parents drove there from Chicago and picked us up from the airport, as soon as I got in the car and they started telling me about the drive to the airport I thought of this blog. 4 days in Austin..and you are not kidding about the driving!! Thanks for all those useful driving tips for Dallas. Safe driving is a bigger issue always. Driving safely should always be your number one concern behind the wheel. Some important driving safety tips you should keep in mind on the road. Most important thing is driving and vehicle license. Making your task easier with the help of DVLA UK, don't hesitate to contact. Boats seattle provides yachts which are perfect for birthday or anniversary parties, celebrations, auctions and fundraising functions, school proms, graduation parties, college networking events or alumni reunions. Create long-lasting memories with your event on the water! I just learned how to drive. I didn't got the chance to be taught in driving school instead, my mom taught me how to drive by driving from out city to the next city which is 2 hours travel. I though at first that will be suicide but then I learned how to drive from it. These driving tips are helpful while driving car. Insurance is also very important to save the car. Compass Claims is providing insurance services. Good one... My suggestion is to drive properly, by having training in driving school. The instructors teach you about the rules and regulations and also the navigation of driving that will easy to learn driving as soon as possible.